It is Google’s 12th birthday today. 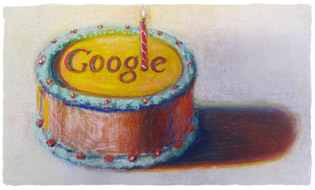 The Doodle is a simple cake with Google’s name on it and the L substituted by a candle. Guess it doesn’t want the resources strained more after the “Google Instant” release. 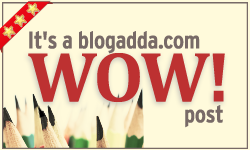 While I find it a waste of processing power, I thought people liked it. But found out of late not everybody is in its favor. Anyway considering that Google is a libra it may be a part of the libra vanity 😉 . May you live longer with nice doodles! Flintstones shows were really good and sometimes very boring. I thank cartoon network (certainly did it’s magic), now along with a birthday wish for Google.